Eight volunteers arrived for community gardening including four children aged six to eight years old! So we got busy fruit picking at the Forest Garden, talking about fruit of all shapes and sizes, and ended up harvesting some courgettes that were lurking on the allotment trying to turn into marrows. "We've had a great morning. The children have been fruit picking and learning about all the colours and shapes of what has been growing in the garden. I've learnt a lot also :) It's been lovely to be out in the cool rainy weather. Thank you for having us. We hope to make it back next month", wrote Bryony. Celia, from Australia, wrote this: "Visiting my grandchildren for the summer holidays, we were looking for something interesting to do this morning despite the rain and wind. What an excellent choice we made. 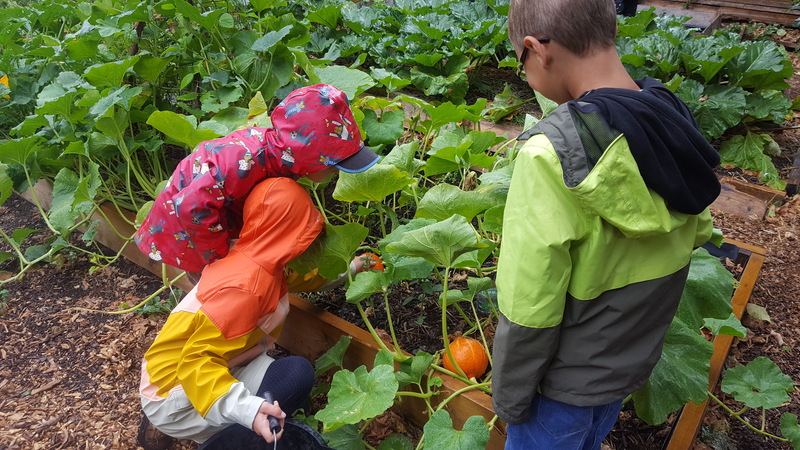 The children, 6 and 8, were enchanted with the 'forest', 'gardens', and the chance to learn about plants and trees and eat fruit. The talk was so informative and age-appropriate from start to finish. 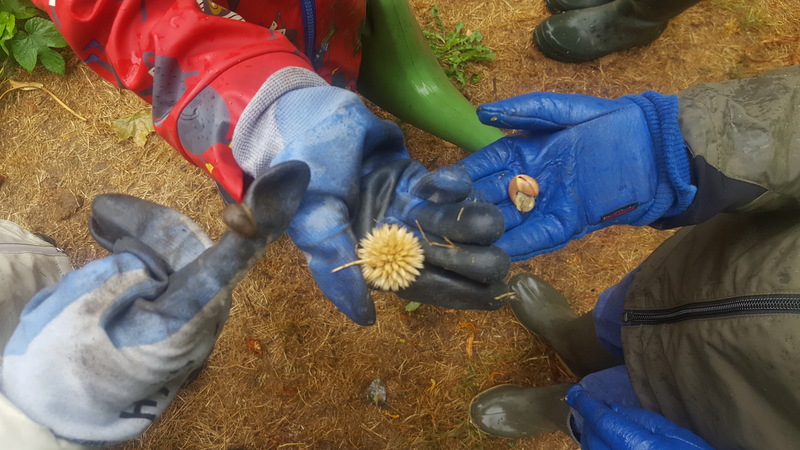 The children were encouraged to be 'hands on' and they learned some important facts and undoubtedly enjoyed themselves. I cannot recommend this event more highly, a wonderful morning's 'work'. " And the verdicts of the children? "It was awesome! ", "10 out of 10! ", "9 out of 10! ", "100 out of 100!" That really was a day to remember! Fanastic work by session leader Liz, assisted by volunteer Gill.